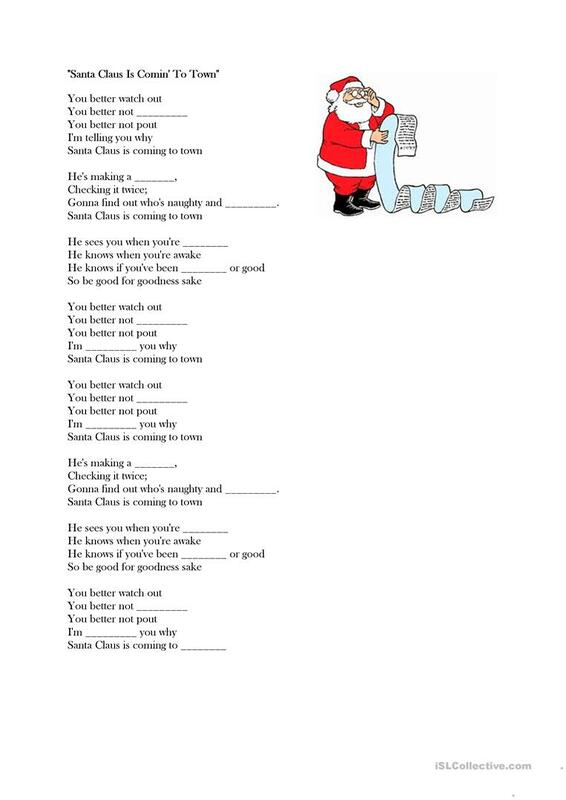 listen to the song Santa Clause is coming to town - the children have to listen closely and fill in the blanks. This downloadable printable is best suited for elementary school students at Pre-intermediate (A2) and Intermediate (B1) level. It is a valuable material for working on your students' Listening skills. It focuses on the vocabulary topic of Christmas.